If you rent your property you will still need the same protection as if you had a mortgage and by not having life insurance cover, generation rent could be generation lost. The number of people living in rented homes has risen by 102,500 (13.6%) since 2011, and it is now estimated that there are around 497,111 households that make up the private rented sector in Ireland, according to Savills research and rent forecasting report. The mortgage market has recovered somewhat from its recessionary lows, but it is nowhere near back to its boom time heyday. Renters are currently estimated to make up 20% of the Irish housing market, but how protected is this proportion of society and what are the challenges they face? According to Daft.ie economist Ronan Lyons, the current rental market in Ireland is showing continuing signs of distress with renters under increasing pressure to attain and sustain themselves in rented accommodation. Stronger demand and weaker supply is a contributing factor. In the Daft.ie Irish Rental Price Report for Q1 2017 Lyons commented: "Market rents in Dublin, for example, are now 66% higher than at their lowest point. Outside Dublin, rents have risen 41%. The average rent nationwide is now €1,111 per month." In addition to the issues raised around the rising costs of rent in Ireland, there is another major concern that often goes unmentioned. Personal protection, or rather the lack there of for renters, is concerning. There doesn't appear to be any general awareness or discourse in the market of the consequences of these low levels of personal protection, this in spite of the fact that renters make up a significant proportion of the Irish housing market. Niall Concannon is a Business Development Director at Zurich and is primarily responsible for generating protection business. He argues that no matter where you are on the property ladder, protection is paramount. "Currently, many renters cannot even save for a mortgage as most of them rely on two incomes to simply pay the rent, particularly in Dublin where rents are astronomical. Therefore, for one half of a couple to lose their income through illness, disability or death could mean facing massive disruption if they had to move elsewhere or face the possibility of homelessness in the worst case scenario," he warns. The numbers living in rented accommodation in Ireland in 2006 was 323,007, that figure rose to 474,800 in 2011* and jumped again in 2016 to an estimated 856,100 ** people renting in Ireland, which represents 497,111 households as per the recent census. The situation is further compounded by the increase in the number of cohabitating couples in Ireland. In 1986, the number of couple's cohabitating was so low that the Census did not even record them***. In the 2011 census there were 145,561 cohabitating couples and also 456,661 children or 28.1% of the total being raised in non-marital relationships. 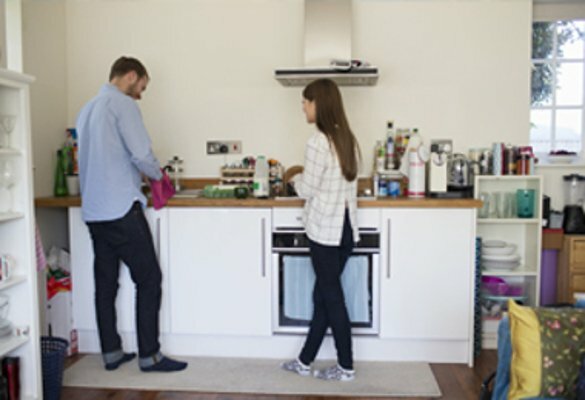 The number of cohabiting couples in Ireland currently stands at an estimated 152,302. "People living in non-marital relationships are not entitled to claim the Widow(er)'s/surviving civil partner contributory pension which is a benefit payable to the surviving spouse/civil partner regardless of means," Concannon . "Therefore, if you have a mortgage and are married, you will at a minimum have your mortgage paid off through your mortgage protection policy and also receive the Widow(er)'s pension in addition to whatever income you receive yourself. However, if you are cohabiting and renting then you are entitled to... well basically nothing." For those living in rented housing, the challenges and rising costs are apparent. Generation rent is in a precarious position financially and if they don't adequately protect themselves they could end up becoming Generation lost. Given that the cost of life insurance has never been cheaper and is particularly inexpensive for younger couples, it really makes sense for people to consider taking out personal protection cover, Concannon says. "If you rent your property you will still need the same protection as if you had a mortgage. What would happen if you became ill and couldn't pay your rent? Regardless of your living arrangements, a life insurance plan can be used to protect you and your family from financial strain should you become ill and unable to provide for them." When choosing a protection plan there are a few options available. Whether its cancer cover, serious illness protection or life insurance, we have the right plan for you. Why not talk to one of our Financial Advisors or to your Broker who can advise you on the best plan for you. You can find a local financial advisor near you with the Zurich Advisor Finder. Visit Zurich to find out more.